Sep. 19, 2018. 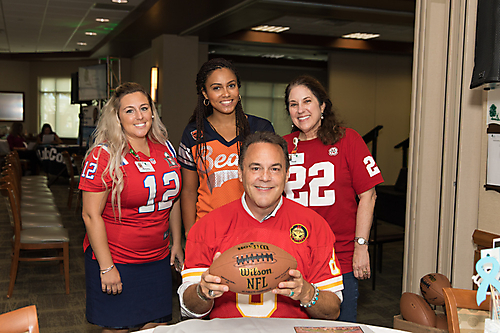 CTCA Goodyear hosted a Prostate Pep Talk event to promote its partnership with the NFL Alumni (NFLA), Lab Corp, and Health Testing Centers to raise awareness of prostate cancer and the benefits of early screening. Meet and greet with NFL Hall Of Famer, Nick Lowery and prostate health information from Dr. Farshid Sadeghi.